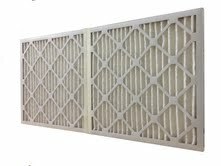 If you cannot find the replacement air filter size that your system requires, we can build your exact size! You don’t have to spend hundreds of dollars having your HVAC system re-engineered to accommodate standard sizes. Affordable prices and quick lead times take the frustration out of ordering custom air filters. Prices start at only $9.49 per filter in our MERV 8 rating! All of our custom air filters are made in our own manufacturing facility right here in the USA! See our measuring guide for assistance in choosing the right custom air filter size for your application. Please measure accurately to ensure that we make the proper size for you as custom orders cannot be returned or exchanged. If you are unsure about what to order, don’t guess. Call us and we will help you order the size that will fit perfectly! If you require a size that is not available in the menu below, please contact us or call 1-855-237-1673 for assistance with your custom filter order! You are about to order a custom-sized replacement air filter, made specifically for you. Custom replacement air filters cannot be returned or exchanged.